Jillian is a sophomore and is entering her second year with The Maroon as the Executive Producer. 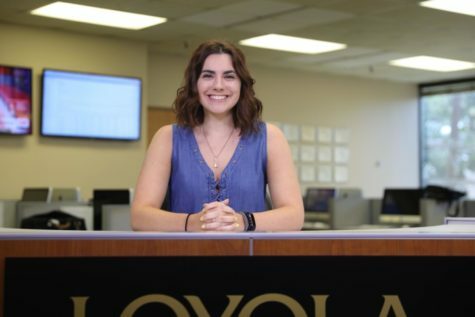 She hopes to showcase the full Loyola experience through the Maroon Minute, Uptown Howl and Wolf Pack Wrap Up. And hopes to find in the future a place in sports journalism, reporting about her hometown team, the Tampa Bay Lightning.